On 24 July, the Department for Business, Energy and Industrial Strategy (BEIS) and Ofgem set out plans to upgrade energy systems so that consumers have more control over their energy use, while supporting innovative new technologies. According to the plan, homes and businesses will change the way they store and use energy while benefit from the delivery of a smarter and more flexible energy systems as barriers to smart and battery technology will be removed. These changes will lead to the convenient reduction of costs for consumers. 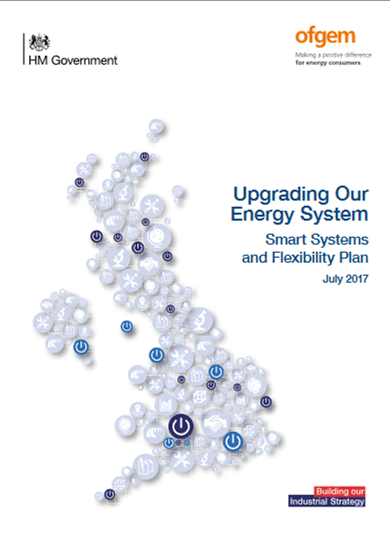 The report Upgrading our energy system: smart systems and flexibility plan describes how the UK energy system is changing and how it can ensure economic benefits for businesses and households. Over a quarter of the UK’s electricity is being generated through renewables such as wind and solar, much of it located close to homes and businesses. New technologies that help store and manage energy are emerging and the costs are falling. Business and Energy Secretary Greg Clark also announced in a keynote speech on the Industrial Strategy, the launch of the £246 million Faraday Challenge to boost expertise in battery technology.